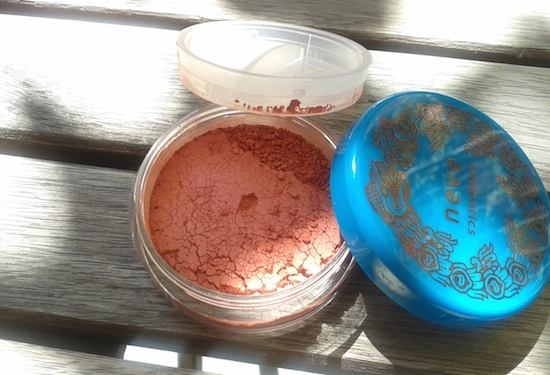 In the last year I’ve become a fan of Neve cosmetics without even realising it how much. Step by step, after trying slowly their novelties I found myself saying “I love those pastelli pencils!” or “Those pigments are awesome”! and “It’s time to try one of their palettes!”. And yes here I am with their newest Duochrome palette! I don’t know why I haven’t tried yet any of their palettes…One reason is that I thought, ok I still have plenty of my palettes for professional use, so yes next time…You know this stuff of procrastination 🙂 But now I’m even more happier that I have finally try it. The palette has beautiful shimmery shades that are duo chromatic, which means that each shade is made of 2 colours; for instance you have a dark brown with emerald green shimmer. The pigments are awesome in terms of pigmentation! I was blown away when I first put them on my hand. I can easily compare them with professional stuff like Yaby that I love to use for professional work. 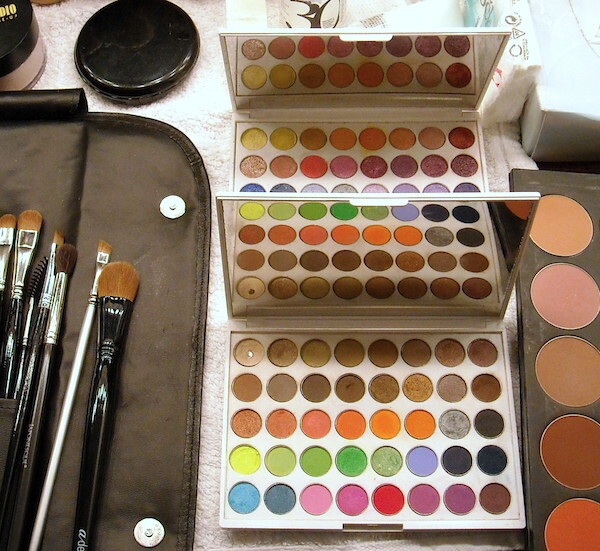 Here is a quite old picture from a set where I had visible the Yaby palette, so I can show you the comparison. The Yaby palette with the pearl paints (shimmery colours that are almost creamy) is behind the first white palette. The shades are all easy to apply and blend amazingly well. This stuff is going directly in my makeup kit! Please note that the colours on my pictures of Neve are a little bit muddy because outside the light wasn’t really good. Bear in mind that they are much more vivid (on swatches too). 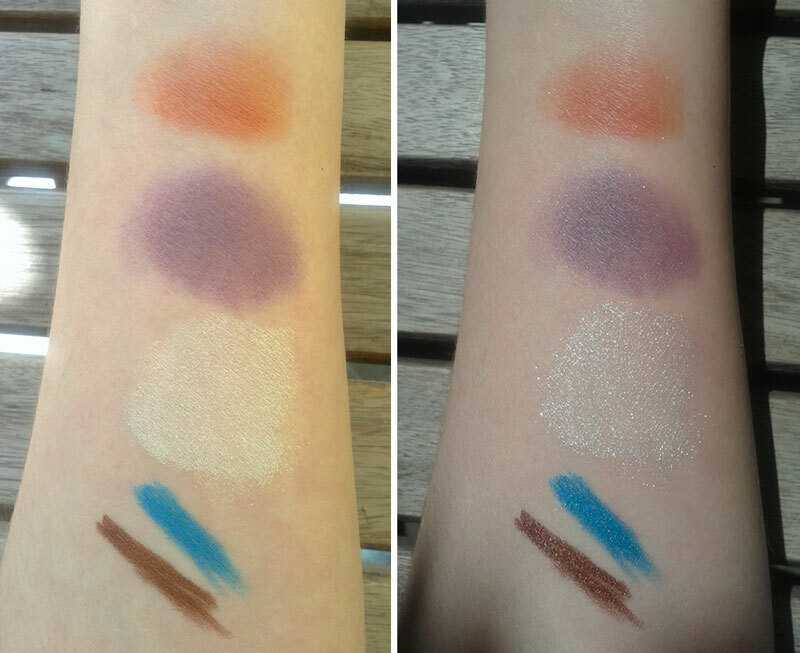 Below you can see the swatches of the entire palette on daylight. #Pioggia Acida: Medium olive green with gold shimmer (on the skin has a cool undertone). 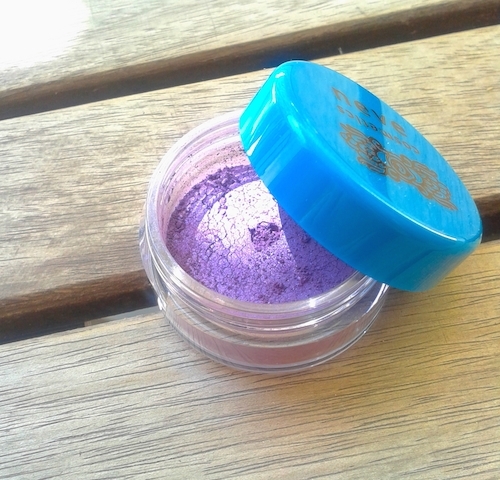 #Utopia: Cobalt blue with pink shimmer (in the palette looks cool purple violet). #Fenice: Intense warm copper with a touch of rose. #Chimera: Dark violet with rose shimmery particles. #Mela Stregata: Violet brown with emerald green shimmer. #Abracadabra: Aqua blue with light green shimmer. #Polline: Intense warm yellow with lime green particles. #Veleno: Dark reddish brown with green shimmer. #Mezza Estate: Light orange yellow with rose undertone. There couldn’t be more surprises than adding a new product like a primer to the collection. It is out today! And they did 2 of them: one for dry/normal skin and the other for combination skin. I have the one for dry skin. First I thought that is going to be transparent, but it seems they did almost a bb cream. Why almost? Because it has some colour when you open it and put on the skin. But when you wear it, it does not act like a BB cream. Which means that enhances the skin with a light radiant layer, but it does not cover imperfections. Basically it prepares the skin for the next step (foundation), which is what the primer is supposed to do. As you can see on the picture, below on my hand there is the product directly from the tube and above it is blended in the skin and it’s almost invisible. Just a tiny bit of colour. This primer is based on argan oil, shea butter and aloe vera extract. It is free of silicones, which was their purpose to create a silicone-free, mineral-oil free primer. And compared to conventional ones it does it job well. To conclude, I have to say that Neve cosmetics is growing faster and faster. This young Italian brand doesn’t stop to surprise me; they improve continuously, lots of their formulations are becoming vegan and many products act great even for pro use! Any thoughts about Neve cosmetics? So here are some colours from this collection: the new mineral blush Flame tree in a vibrant coral with many metallic tonalities. 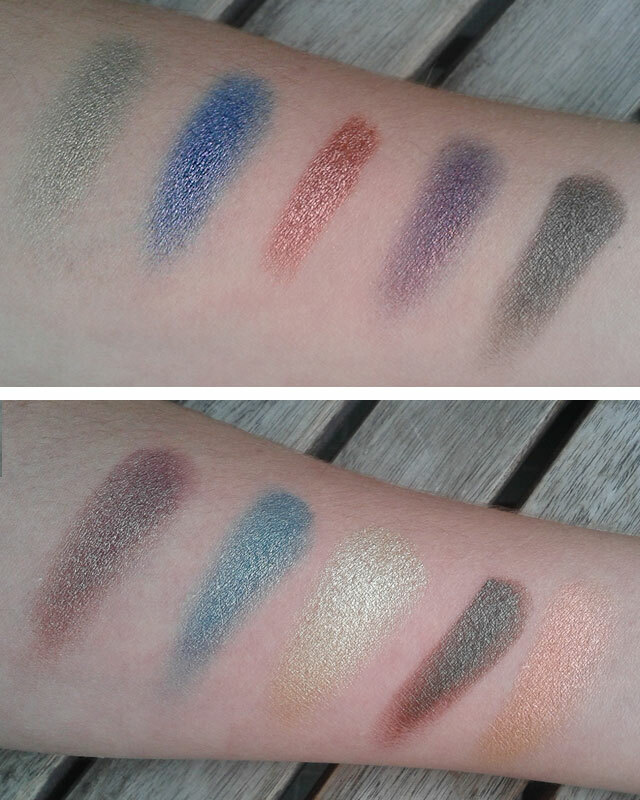 The 2 Neve cosmetics eyeshadows: one is Peyote; metallic white with a huge metallic lime undertone and the other is Rituale; a metallic duo chrome violet blue. However the first one is the most shimmery one, because it has bigger metallic lime green particles in it. Btw, I see that this collection is inspired by some shamanic rituals and so the names are so creative. Comparing the pigmentation of products I can see that the most pigmented is the blush and the less pigmented was the Rituale, although with a primer it’s fine. 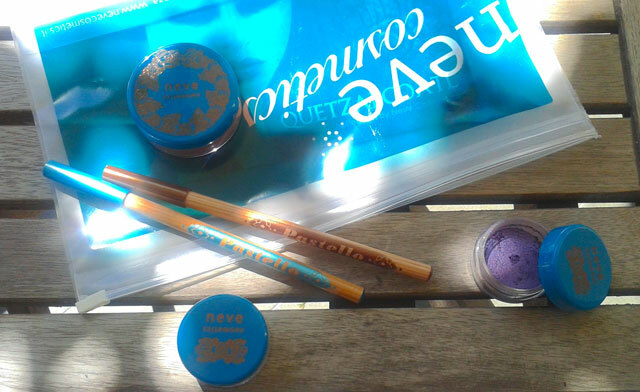 Neve cosmetics Pastello pencils (that I adore and think of collecting them cause they remind me of school color pencils) in turquoise matte blue and the other metallic warm bronzy brown. They are both mesmerising, I just suggest to wear them very smudged, or as a base for eyeshadow or set them with powder because they tend to smear a little bit especially in warm days when it’s hot. In this post I’m going to throw out of my green make-up bag a great novelty that I’d especially highlight for make-up artists use as well. 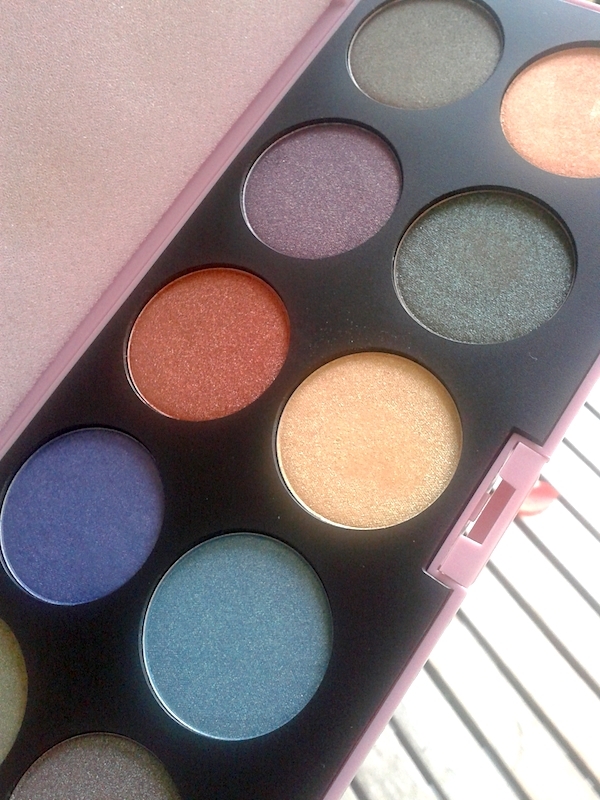 For all of you who don’t know Neve cosmetics yet: this is a young Italian brand with vegan and mineral make-up and who has also created the amazing palettes with refill eyeshadows. 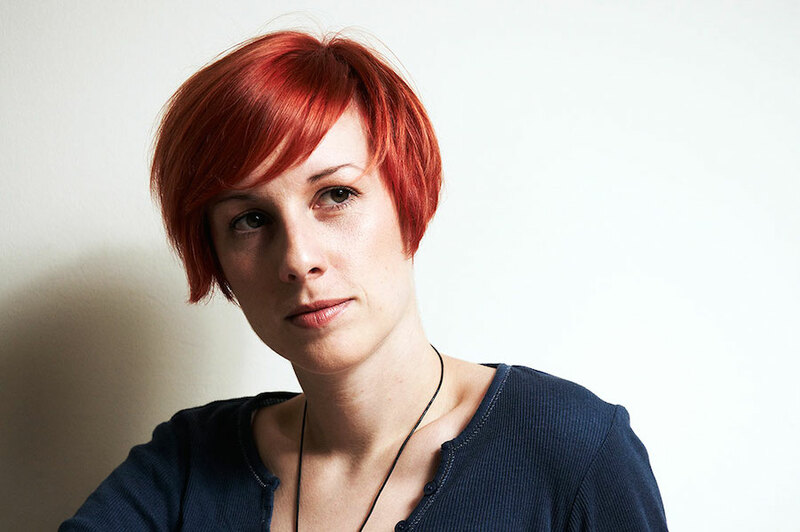 A loud applause for Neve! Neve cosmetics flat perfection foundation is a great novelty, that can be compared with Mac mineralize skinfinish natural for instance. But the better news is that this foundation is so much cleaner in ingredients than the previously mentioned one. It comes in a nice package with a fresh and innovative design (the surface of the cover is somehow warped which reminds me of an almost natural stone). 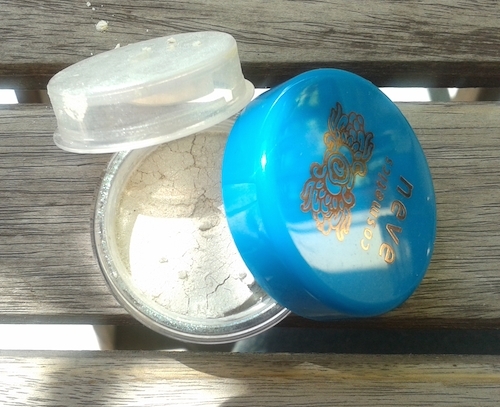 Inside the package there is a mirror and the powder is pressed which is a big hurraw! for make-up artists (=handy). This powder is meant to be used instead of any foundation and it gives a light to medium coverage with a nice natural satin finish. It does not look cakey at all which I really like! It’s simply great for those natural looks when the skin is already in good conditions and you need just a sweep of color to enhance the skin tone. It’s also a perfect solution for upcoming hot summer days when you don’t like to wear much make-up. 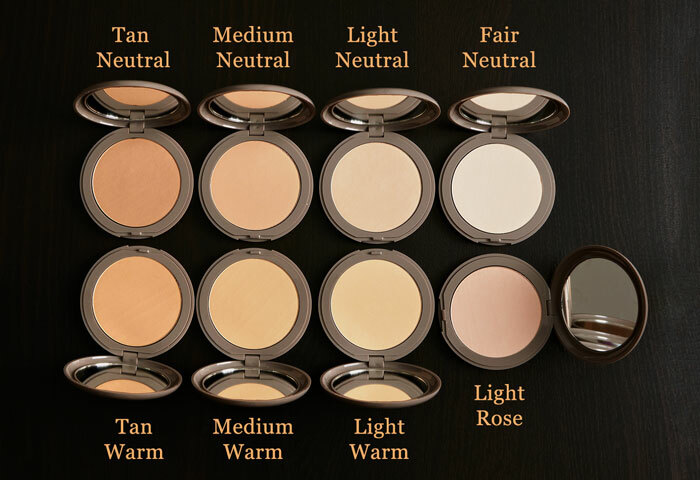 Flat perfection foundation comes in 8 shades that you can check on my photo below. The selection of colors is very good, they are not too yellow nor too rosy. They have designed just one color that is called Light Rose and it’s meant for light skin with a touch of cool/blue undertones. I’d just love a little bit more of product inside. In general, you can apply it with a flat or kabuki brush with circular motions on skin that you have prepared before with a good moisturizer adapted for your skin type. The foundation lasts depending on your skin type – on dry skin as mine is there are no problems, but on combination and oily skin touch-ups are needed after a few hours. 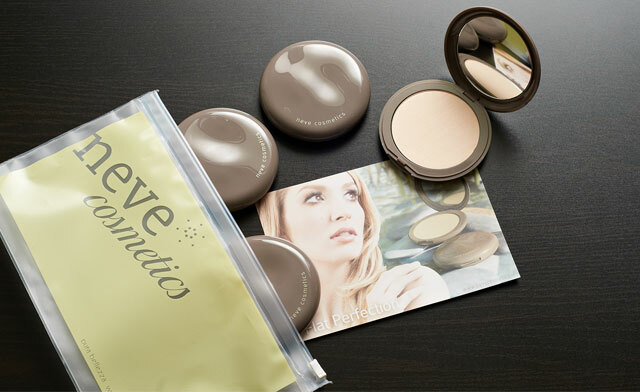 The only thing you might not like is the talc inside, but as I said the most applaudable fact is that there are brands out there who are working on innovation and where even professionals can choose the greener version of products for their make-up kits. The product does not contain any parabens, silicones, parraffinum products and is suitable for vegans and vegetarians and is not tested on animals! Among tons of other interesting products check also Neve cosmetics accessories like this handy plastic bag on the top picture where you can store your make-up and close with a zip.